When she was growing up, Brenda Nissley, B.S. ’96, remembers her family’s commitment to the community: they volunteered, they tithed. “They put beliefs into action,” says Brenda. With gifts to Harborview Medical Center, including a gift made through her will, Brenda has done the same. When Brenda left college in the 1970s, she spent more than a decade in retail management. Eventually she realized that she needed a change, and a knee injury — and a kind physical therapist — gave her an indication as to what she might do. 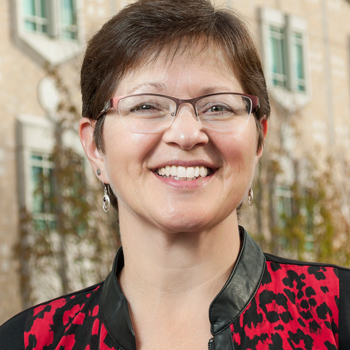 Brenda went back to school in her mid-thirties and graduated from the UW School of Medicine with a degree in occupational therapy in 1996. “What I truly appreciate about my degree in occupational therapy is that I am able to us it in so many different ways,” says Brenda, whose OT career has included rehabilitation therapy, medical equipment coordination, and — most recently — working as a manager of program operations in environmental services at Harborview Medical Center. She helps keep the hospital clean and green through pharmaceutical waste management, recycling and composting, and dealing with biohazard waste. And she believes in Harborview’s work — especially its work with vulnerable populations. A few years ago, Brenda wrote her will, and she included the medical center. “I thought about the places that have influenced my life the most and brought me to where I am today…I wouldn’t be where I am without working at Harborview,” she says. And Brenda knows precisely what she wants her planned gift to do: to support Harborview’s mission of caring. “I want everyone — immigrants, people who are homeless or with little income — to have the same level of healthcare services that the rest of us do,” Brenda says.